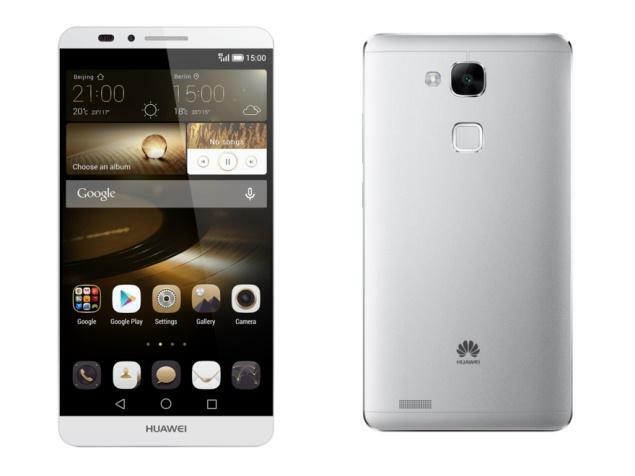 How good is Huawei Ascend Mate 7 battery? The Huawei Ascend Mate 7 packs a huge battery that keeps going for ages, its screen is bright and bold. The camera is pretty decent and the fingerprint sensor actually works. It's running on an old version of Android, Huawei's software tweaks make it clunky to use and there's loads of bloat ware installed as standard. Although it's let down by its awkward software, the excellent battery life and big, bright screen help make the Huawei Ascend Mate 7 a decent choice for those of you looking for movies and games on the go. The Ascend Mate 7 is due to go into the market later in October, although precise pricing or regional availability isn't yet known. With such an imposing line-up of specs, it's unlikely to go for pocket change, although Huawei has promised that it'll be very competitively priced. The Mate 7 is huge. It has a 6-inch screen which has required the body to balloon out to 157mm (6.2 inches) long and 81mm (3.2 inches) wide. The fingerprint sensor on the back of the phone is positioned precisely where your index finger will naturally rest when you pick the phone up. It's certainly comfortable to use, although it does mean you need to pick your phone up to unlock it, rather than jab at the screen when it's lying on your desk. Mate 7 arrives with Android 4.4.2 KitKat onboard, which is disappointing as that's a couple of versions out of date (version 4.4.4 is the most up to date version of Android around). It might be a bit unwieldy, given the size, but the Huawei Ascend Mate stands up well as a camera. The Chinese company has added a 13MP rear-facing lens capable of snapping at a 4128 x 3096 resolution. The front-facing 5MP camera will take reasonable selfies as well as providing 720p video calling via Skype and Google Hangouts.